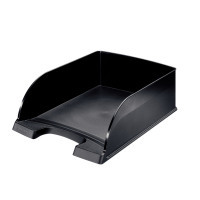 Perfect for desktop filing and organisation, this Leitz Plus standard letter tray is made from durable, high impact polystyrene and features a large front cut out for easy access to contents. 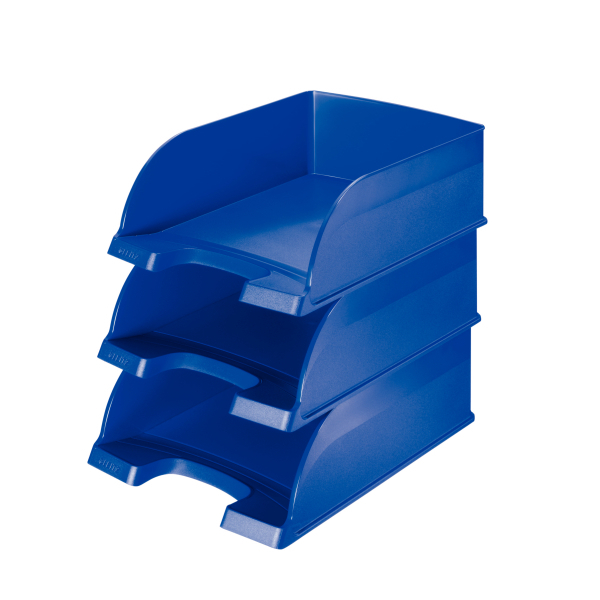 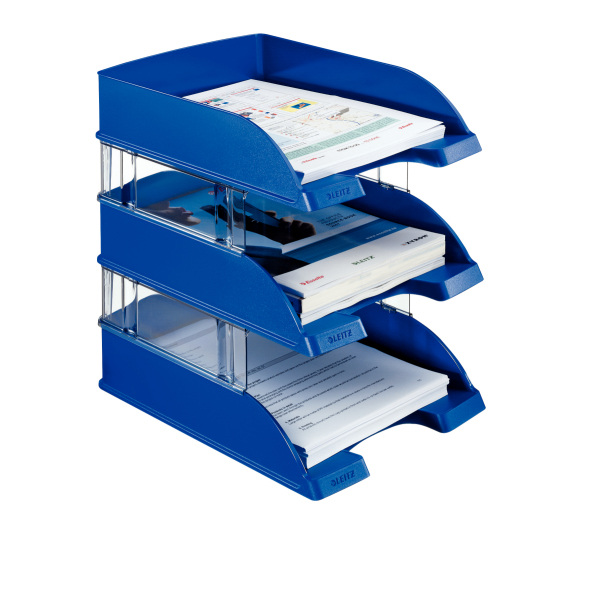 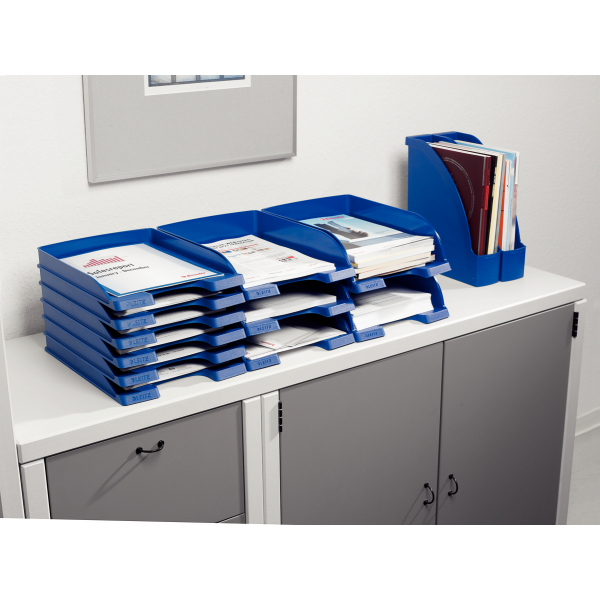 Stackable with Leitz Plus standard and jumbo letter trays (available separately). This pack contains 1 black letter tray measuring W255 x D357 x H103mm.